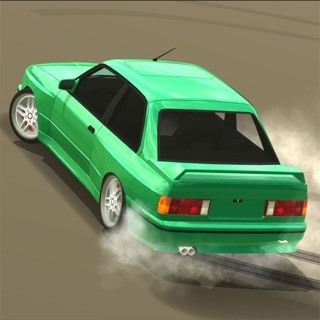 - Realistic, detailed model of car collision and body deformations based upon actual physics! - Old, crappy but real American cars from yesteryear's battle in this game! Suggest your favorite cars. We welcome your suggestions! - Spectacular time dilation after high damage. - True HD soundtracks, and real car sounds! - A powerful artificial intelligence of opponents. - The blasts of destruction cars will blow your mind. - Amazing graphics and effects on a wide range of devices. Cars are the coolest I love this game. It has destruction and I like derby’s and cars. I also love the graphics in this game. They are awesome. I rate this 5 stars because of the graphics, the verity of cars to choose from, and you can pick your derby map! What I think you should add too this awesome game to make it better is where you can upgrade the parts off the vehicle. And buy like new tires and all that crazy stuff. And if you could take the timer off to hit someone or you explode off because that makes me stressful that I have to hit someone every 30 seconds. But other then that I love this game! Also you should add car paint so you can add new paint to your car! This is also in fact my favorite demolition derby game I’ve EVER played! Love it! Keep up the good work! !my car model is a Chevy. And yeah I love this game!! This game is great, but there is a lot of room for improvements. First, I think online should be added. That way, the game could be for fun. Second, I think this game should add a mark, or stripe to represent the skill of that player with that vehicle. The stripe could go on the side, or the front, depending how the vehicle is designed. (For example, with a truck the marks would probably go on the side, and the monster truck’s would go on the thing in the front). This could make the mm (matchmaking) better. For example, you would be but in a solo match with people who are close to getting 1 mark, and people who already have 1 mark. Third, i think that before a game you would get to look at the people your playing. (A screen). The screen would show their name, and how many marks they have, or how close they are to getting their first one. Fourth, if online was added, you could friend people, message them, message in game, and party with them. You could also make private games for fun. Fifth, I think there should be more mode, more maps. For example, duos, or a 3v3. There could also be a big deathmatch, like a 1v1v1v1v1v1v1v1v1v1. There could be many more maps, and you can play with your friends. I find this personally to be a pretty ok demolition derby game. The graphics are ok, and although it controls horribly, it makes it challenging. I also find it to be WAY overrated. I think it's garbage that there's so many 5 star ratings. Also, here's a big issue: I have done probably 15 derbies by now, and haven't won once, for this one reason: there's always 1-2 cars in the arena that are impossible to kill without destroying your own vehicle. They always win. Also, the timer is really unnecessary, especially since it seems the only time the AI has it is when you're spectating. So... the only way to beat these overpowered cars is by having one yourself. On the other hand, the AI itself is pretty good, and it fights other cars, too.